A Business Website? Who Needs That? A Business Website and A Facebook Places Listing, who needs both? Sadly, someone once asked me this question just when Places first were catching business owners’ attention, way, way back when. The truth is, we were not prepared to answer that question then, we are now. At over 500 million and growing, there is no doubt that a business can find followers for almost any niche here. Like or make pencils? Facebook has 29 groups dedicated just to the topic “Pencils”! So, yes, a Facebook Places page would do your pencil factory good if you knew how to use it. You would be leaving quite a bit on the table however, here’s why. At last count (in 2010), only 49% of all small businesses had a traditional website. We don’t count the “free” websites that we’ve found to be so popular among many small business owners. Or the Myspace Pages some often refer to as their “website”. We mean a professionally designed web property, hosted at a web host of your choice and with a domain name dedicated to your business and only your business. When a person searches for a business or a product in Google, they will be presented with the LOCAL businesses first. Local to their Geo position, either courtesy of GPS or their ISP. Now, if you don’t have a site optimized for those keywords being searched, they can’t present your business, can they? Sure the search results pages show places pages, but on closer examination, most of those presented DO have a website. A website is considered as a whopping 10% of the ranking factors. The only times these Places Pages (without attached websites) show up, is usually when the niche is so tiny and without competition that Google has no choice but to show the Places in their results. A friend of ours owns a transmission replacement business. After putting up a website for him he came to us one day and asked us how come he was receiving calls from all over the country? We told him we could make them stop but he said no, he just wanted more local calls, we referred him to our Advanced Local Package and today, we are like heroes to him. Did it matter that he wasn’t selling physical goods? No. Did his customer base grow? Yes. Can this be done for a local florist or a plumber? You’d better believe it. With the advent of mobile websites, this is quickly becoming a huge plus for small businesses. A website can establish them as a professional entity in the eyes of their customers or potential clients. A mobile site allows them to reach those clients on the go, looking for answers to their questions now. These searchers usually have “Purchase Intent”. The two sites together levels the playing field that’s called their market niche. Google has been very good in their support for small business over the last two years, as they should be. Think about it. Small businesses make up the majority of businesses in the world, don’t they? How can they ignore this fact and expect to remain profitable? Especially if their competition doesn’t? Businessbymouse.com came up with The Basic Mobile Package just so that small businesses could overcome this hurdle and quickly establish their web presence. 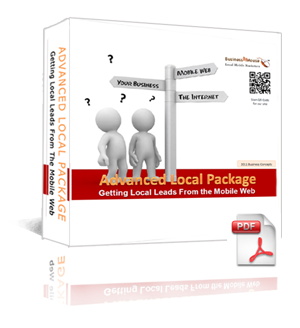 The package includes BOTH a traditional and a mobile website, and can be made ready to rock and roll within a week! The best part is, we made the investment a super reasonable one, in that way, many more businesses can partake of this and truly realize the profit potential the Internet and the Mobile Web can bestow upon them. No, you don’t need to learn how to code websites. You don’t need to optimize graphics, or do any keyword research. We do it as part of the package. Worried about not being able to have access to the sites when you need to? Do not. They are turned over to you completely, or if you prefer, we can manage them for you on a maintenance fee basis. A mobile site is perfect for generating local leads. Ask out transmission replacement client. He’s not on Facebook or even likes reading his email, and yet, he has a mobile site! Read the details at the link below. Visit the page here, “Basic Mobile Package“. This entry was posted in Search Marketing and tagged Business, business site, mobile sebsite development, mobile site, Mobile Web, Niche market, Small business, Social media, Website on 02/17/2011 by MikeL.